Here’s a super-fast and easy dessert that is so delicious and packed with nutrients! It’s even healthier without the preserves, so you could add Stevia to sweeten the berries and cut down on the sugar content. 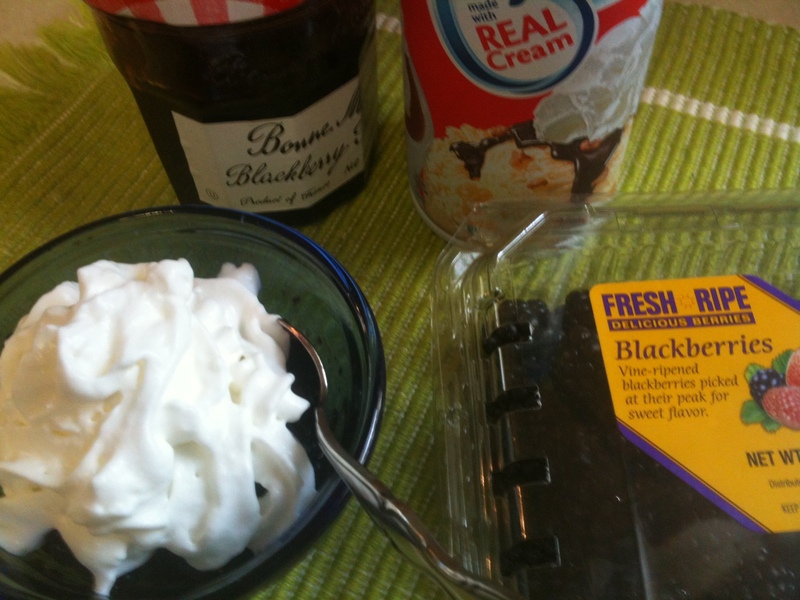 Mix 1 tablespoon preserves for every 1/2 cup blackberries. Stir gently. Top with whipped cream. This entry was posted in Health & Nutrition, Recipes &Cooking by Charla. Bookmark the permalink.